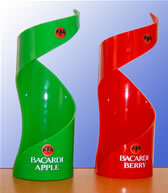 Printed and heat shaped acrylic point of sale to display Bacardi bottles in bars. 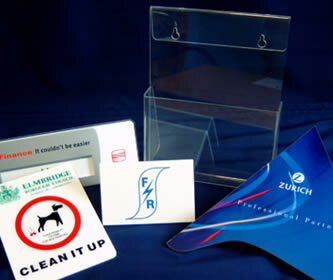 (above) Small table top dump bin. 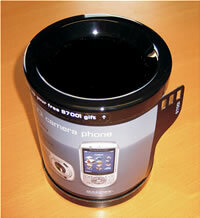 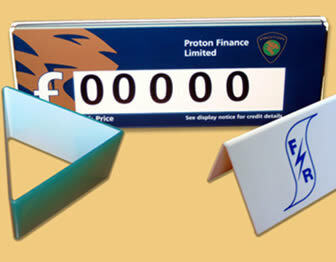 Vacuum formed and fabricated to display on counter.